This post is sponsored by OhioPork.org. All opinions are my own. My husband and I visited an Ohio Hog Farm this past weekend. We had the honor and privilege to tour the Shoup Brothers Farm in a partnership with the Ohio Pork Council. It's not often that we talk about, or even think about, where our food comes from when we are shopping at the grocery store or dining in a restaurant. I'm hoping to change that with the story of this passionate farming family who graciously opened up their farm, home and hearts to us. 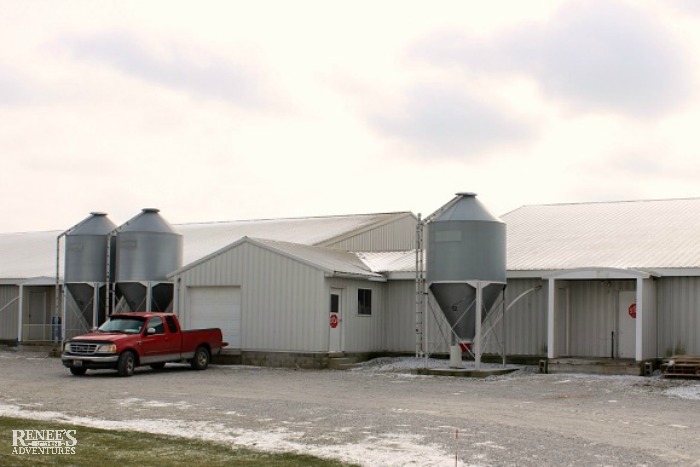 Our visit to an Ohio hog farm began on a cold and, somewhat, snowy December morning in Wayne County. Dave, his son Matt and wife Alona were there when we arrived and greeted us with open arms. It's not often that visitors actually get to tour the inside workings of a pig farm, so we felt honored to be given this opportunity. 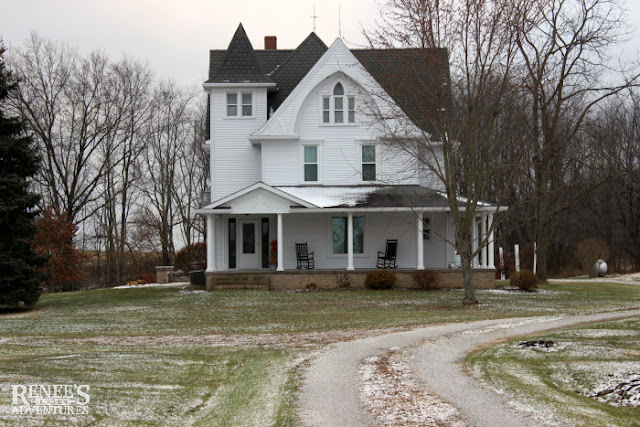 Located in Orville, Ohio, the Shoup Brothers Farm is a multigenerational farm that raises hogs and grows corn, soybeans and wheat. 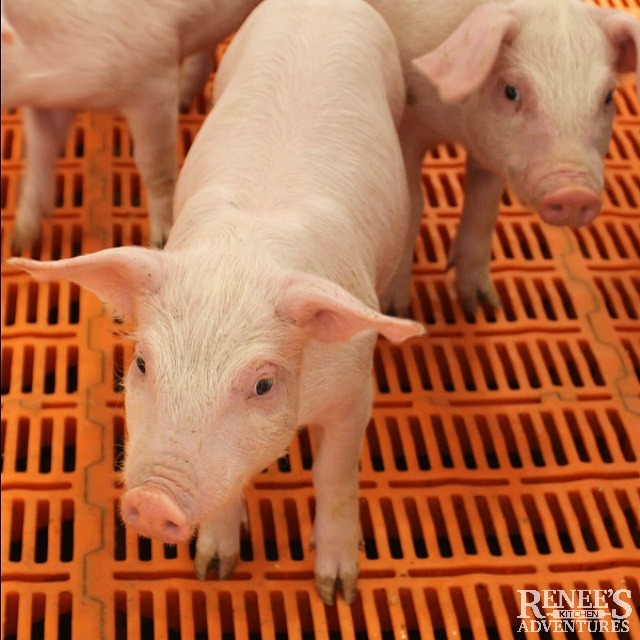 They are one of the largest producers of pork in Ohio. Yet, they still raise their hogs with compassion and care. If you've enjoyed sausage at Bob Evans, chances are, you've eaten one of the Shoup Brother's hogs. 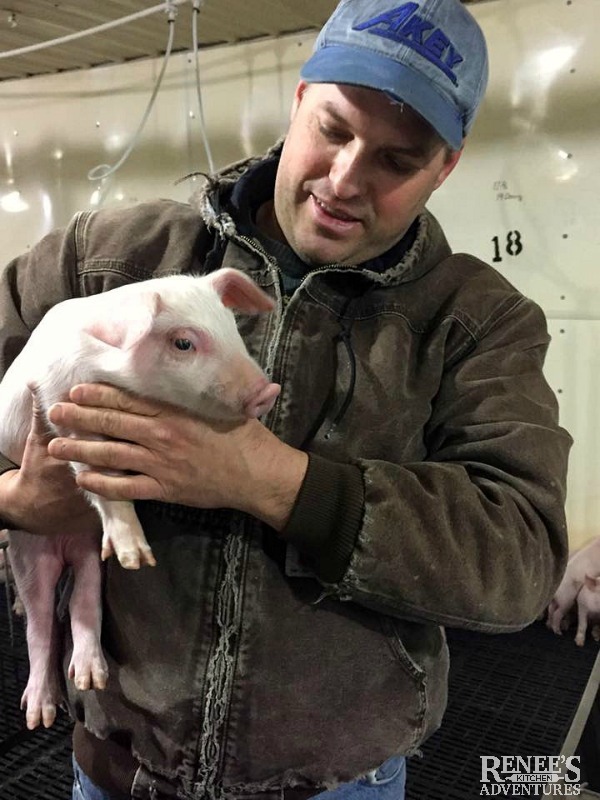 As we drove to the first barn, Dave explained that he was not only a hog farmer, but a veterinarian and how this combination of careers gives him a unique perspective on hog farming. Dave's number one concern is with the health and well-being of his hogs. 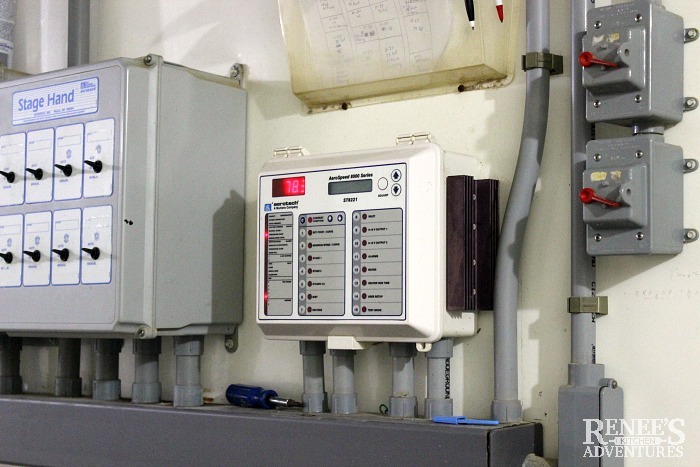 Cleanliness and biosecurity are very important on a hog farm. Care is taken to ensure that antibiotics are used responsibly and only when absolutely necessary. Hormones are never used. Since pigs are susceptible to some human disease and germs that can be carried in on shoes and clothing, we were given special coverings to wear. 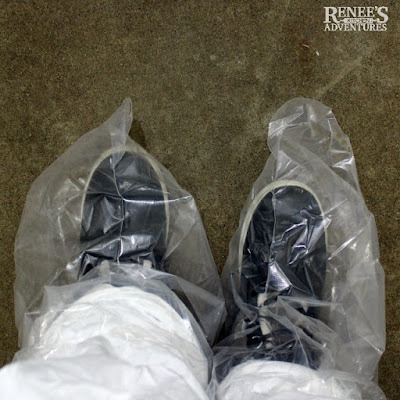 Our shoe covers were changed each time we entered a new barn to ensure we did not bring anything in with us from the outside or from other barns. In the farrowing barn we saw sows and piglets. 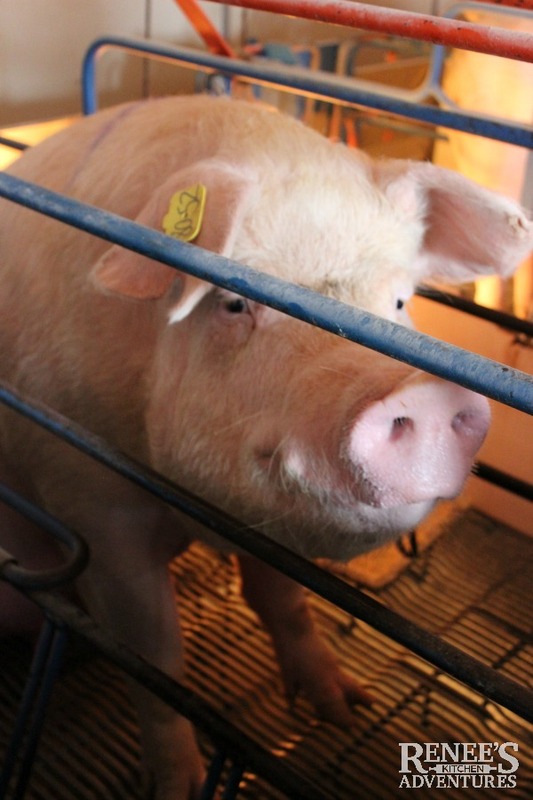 Farrowing is the act of a sow giving birth. Some of the sows had farrowed just hours before our arrival. The sows are kept in farrowing stalls where they can move side to side and stand up if they want to. They have their own food and water supply. Dave explained that the farrowing stalls help prevent the large sow from accidentally smothering or stepping on the piglets and support the sow when she is laying on her side nursing. 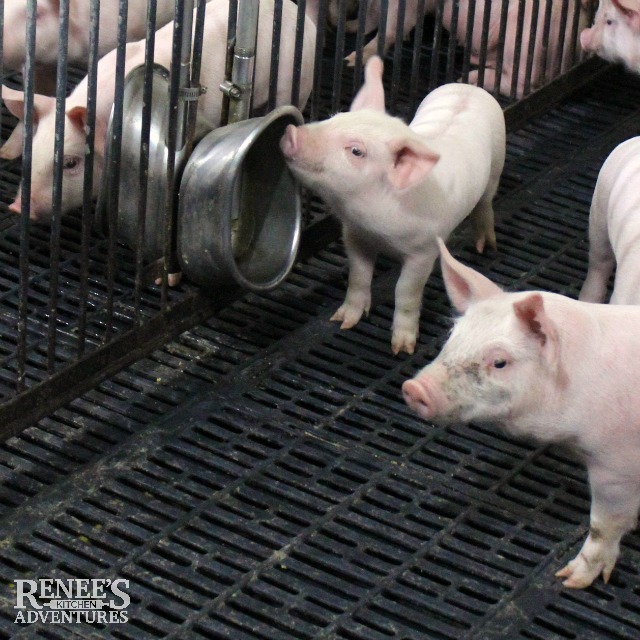 Sows nurse their piglets for about 4 weeks before they are weaned. At birth, piglets only weigh about 2 - 3 pounds. sows, on the other hand, can weigh up to 400 lbs! On average, a sow has litters of 8 - 12 piglets and farrows twice a year. The barn environment is kept at a comfortable temperature year round for the sows and heat lamps are placed next to the stalls to help keep the newborn piglets warm. 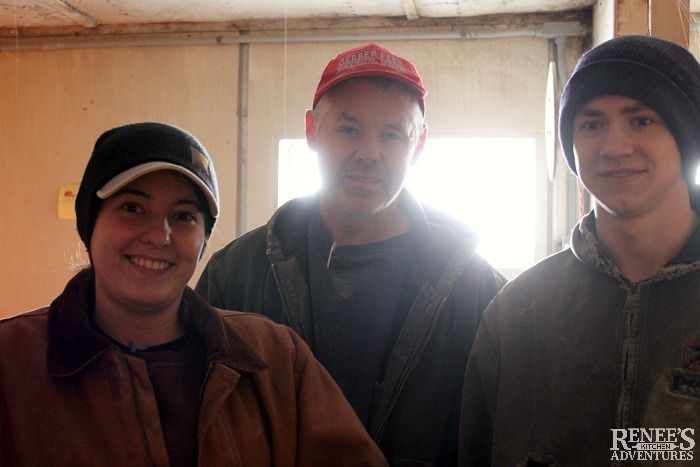 Even though they were very busy this particular morning, Dave's brother Doug, Doug's daughter Nessa and a farm employee, Jacob, were happy to explain all the procedures and answer all our questions in the farrowing barn. This barn was extremely interesting to me coming from a labor and delivery background. Once the piglets have been weaned and reach a certain weight, they are then moved from the sows to the nursery and kept in spacious pens according to size. This helps ensure that each pig has an equal opportunity at the feeder. The pigs have plenty of fresh water, are fed a diet of grains (like corn) that is mixed with vitamins and minerals, and have room to run. 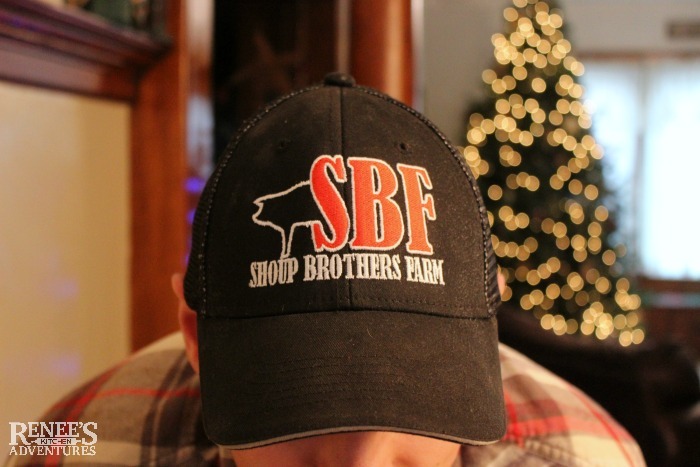 The Shoup brothers believe that raising pigs in barns helps them better care for their animals. By controlling the environment, not only are the animals kept clean and comfortable, but they are also healthier. Notice the slats in the flooring? That's to allow manure to fall through the floor which is used as fertilizer for the farm crops. In 2013, the Shoup Brothers Farm received the Environmental Stewardship Award. "The annual award recognizes the many accomplishments made by family farmers to protect Ohio’s land, air and water quality and conserve the state’s natural resources." The pigs below were so curious about us being in their barn! Dave's brother, Don (as seen in the first image of this post) is in charge of the nursery. 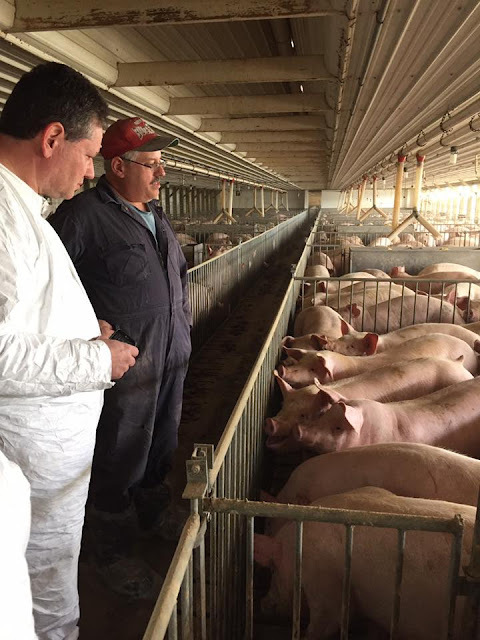 He explained that Shoup Brothers Farm barns use technology like fans, misters, heaters and even air conditioning to create the ideal environment for their pigs. 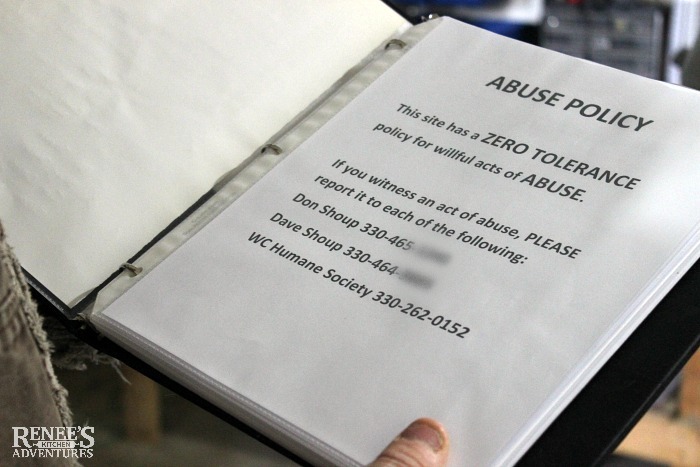 And, they follow strict guidelines and regulations for the care and well-being of their animals. The last barn we visited was the barn that housed the Barrows (male pig that has been neutered) and the Gilts (female pig that has never farrowed). This is the last barn they are held in before going to market. In 6 mos, the hogs have gone from 2-3 pounds at birth to 270 - 285 lbs! Dave showed us the intricate venting system this barn has to keep the hogs comfortable. I noticed that the hogs seemed to recognize Dave! After our tour, we headed back to Dave's house for a pork lunch prepared just for us! Dave's wife Alona, his brother Dean and his sister-in-law Susan were all there to greet us. Dean is also part of the Shoup Brothers Farm. 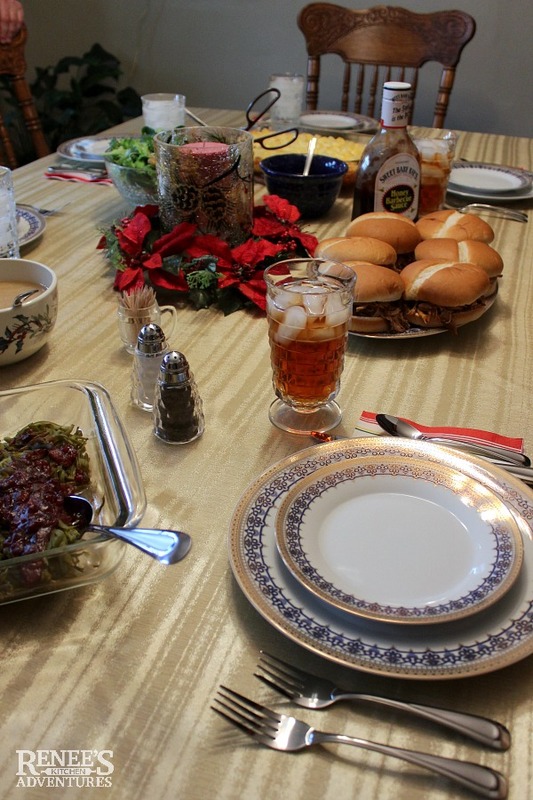 Susan and Alona set a beautiful table for us. 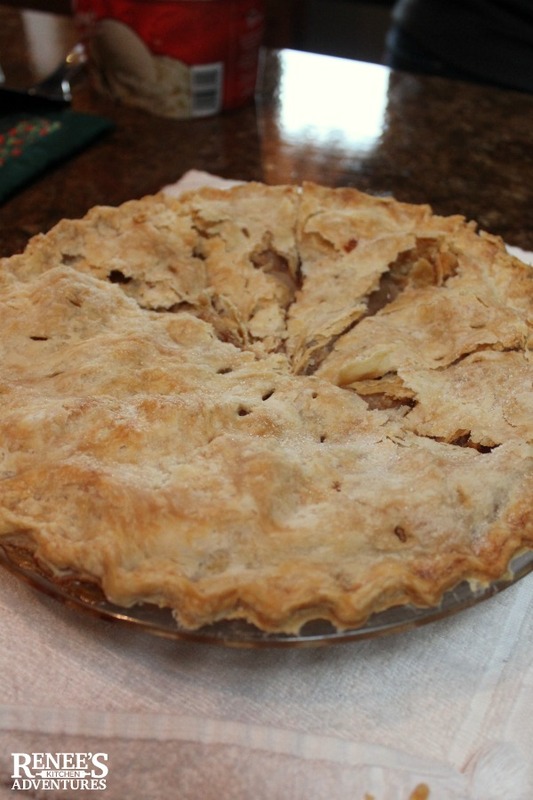 Susan made an delicious pulled pork recipe. 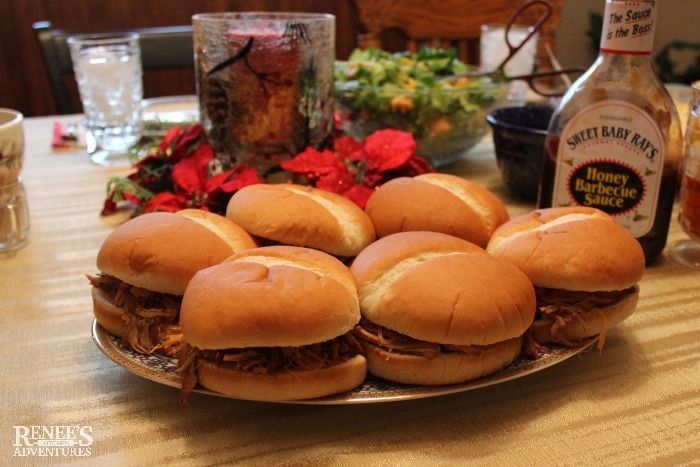 Get recipe for Carolina Style Slow Cooker Pulled Pork here! And...Susan made a homemade apple pie for dessert! It was an incredible meal...but the best part was the conversation. We felt right at home at the Shoups! Their passion for farming and their dedication to their animals was contagious. We will never forget our visit to the Shoup Brothers Farm! 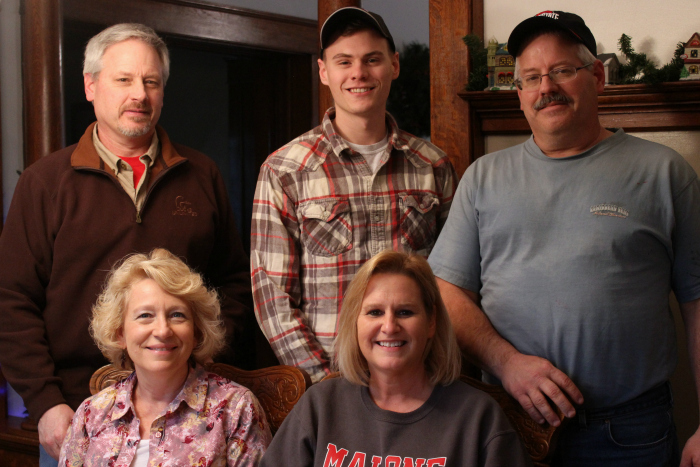 We left with a box of Ohio raised pork and a new appreciation for Ohio Hog farmers like Shoup family. We also left with the best gift of all...new friends! I hope the next time you are at the store and reach for a package of bacon or pork chops, you remember the dedicated, caring, and hardworking farmers like the Shoups, that make your meal possible. Many thanks to the Shoup family and the Ohio Pork Council for this once in a lifetime opportunity to visit and Ohio Hog Farm! When you shop at a grocery store or farmer's market in Ohio, there's a good chance you are buying Ohio raised pork! 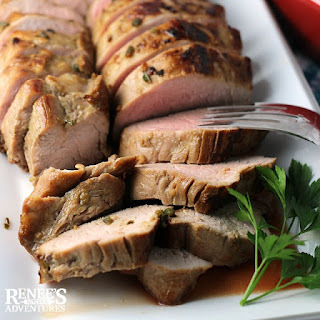 Ounce for ounce, pork tenderloin is as lean as skinless chicken breast. Pork is an excellent source of protein, thiamine, vitamin B6, phosphorus and niacin. 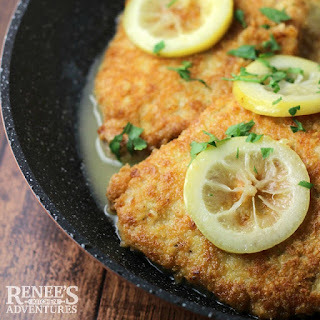 Know that when cooking lean pork, you should cook it to the internal temperature of 145 degrees F, then remove from heat and let rest for 3 minutes. A little pink is okay! 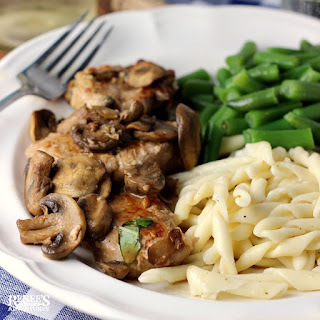 Because today's pork is so lean, overcooked pork can become tough and dry! 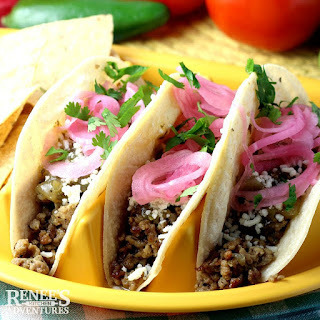 Delicious pork recipes to enjoy! What a great experience for you and that meal, oh, what I wouldn't have given to be sitting right there with you all! Thank Shelby! It was a very delicious lunch! I can't wait to share the recipe for that pulled pork. Outstanding! How cool was that to visit the farm? I love that he is a veterinarian and his top concern is the health and well-being of the animals. They truly sound like farmers who care are their animals and their customers. They really are. It makes me feel good about choosing Ohio Pork for my family.